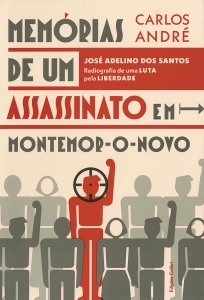 On October 23, at 18h30, we present the book “Memórias de um Assassinato em Montemor-o-Novo”, by Carlos André. A tribute to the life and struggle of José Adelino dos Santos, assassinated by the PIDE in Montemor-O-Novo, in 1958. The Theatre Group of Carnide will collaborate in the presentation of this book with a scenic intervention. An afternoon not to be missed at the Museum of Aljube. Presentation by Teresa Fonseca and Fernanda Santos. Image: Cover of the book, designed by Raquel Ferreira.